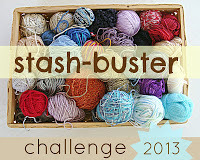 I have decided to take part in the Stash-Busting Challenge of 2013 since all my projects this year have been just that :) and thought I would start off by sharing how far I have got thus far. All this yarn was bought with projects in mind. Waouh very nice woll!!! I would love learn to knit me some socks I'm dream about but don't know where to start. Have you a good book to advice me??? Thank's for the answer. 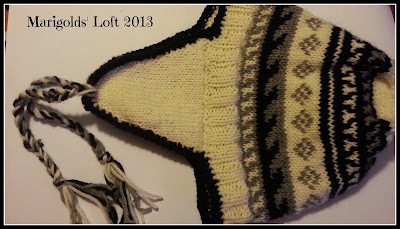 You are in luck :) - Next Wednesday I will be posting a simple sock pattern that I created a while ago for you to use, for FREE, so please come back then :) You will also have the opportunity to contact me through the pattern, should you get stuck! You have been busy. Love the jumper, I'm glad to see that I'm not the only one to leave loose loops over the back, its surprising how they tighten up as you knit. Good use of your stash. I too am trying to knit from just stash again this year! Thank you, yes, I find that if I do not over-exaggerate that thread I end up with all different dimensions in the fronts of the garments - very frustrating, so by explaining it, I hope to help others avoid that :) I did create a video (you can find it under the Youtube videos tab) to try and explain this clearly as well. Gorgeous projects - and good for you. I'm also stashbusting as part of my Second Year of Projects and it's really nice seeing some progress. Which reminds me, I haven't updated on that for ages! 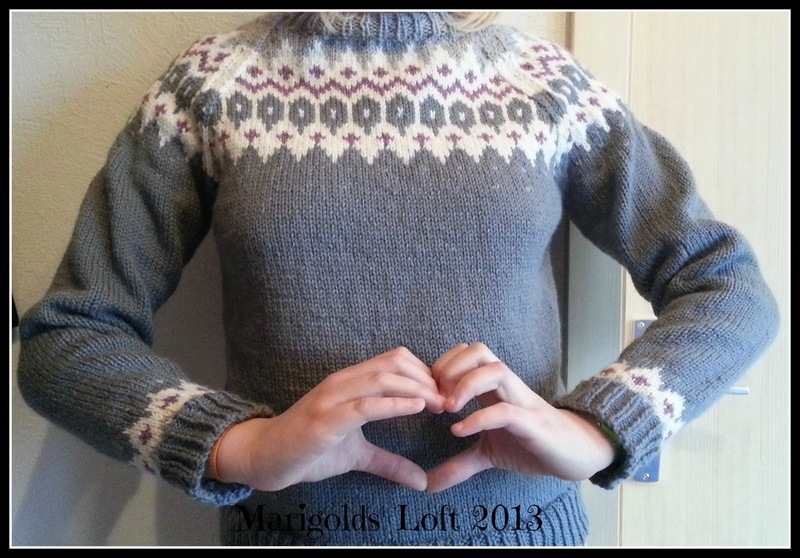 That fair isle jumper is just gorgeous, great work! Liebe Nathalie, heute mal auf Deutsch(ich hab gesehen, du verstehst das) :-D Deine Projekte sind toll. Ich mag den Pullover besonders, aber auch die Mütze ist super. Solche Muster mag ich gern. Habe ein schönes Wochenende! Sabine. Vielen dank für die Netten Worte, ich wünsche dir auch ein Tolles Wochenende. I really should pull out all of my yarns and put them with the pattern I intended them to be used for. Maybe they'd get used. Great job. Having already purchase 18 skeins of yarn so far this year, I would be the failing student in this class. LOL. 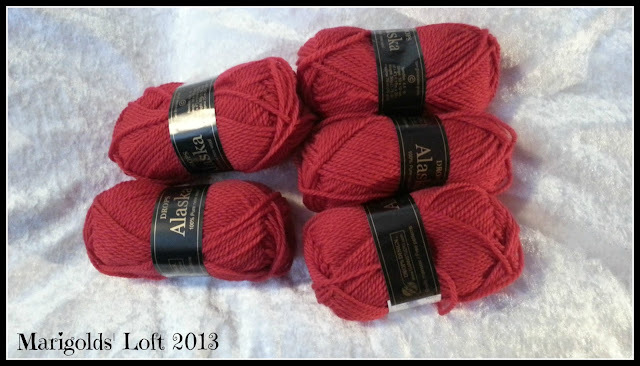 But, all of the purchased yarn was for specific projects, and I had no suitable yarn in my stash. None was bought as a whim, so I am giving myself a slight pass. 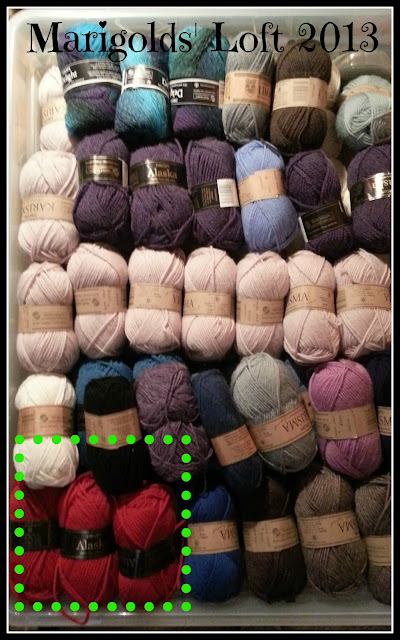 It can be overwhelming to see all the stash together...but thwe good news is that you are progressing. At the end od the year you will be surprised how much you have accomplished. But most important is to enjoy the process...and make beautiful things, which you have certainly done! Thanks for the cool challenge, and for visiting. The jumper is lovely. I wouldn't dare tackle something so intricate. I was interested to read your doing a simple sock pattern. I'm looking for a new challenge. 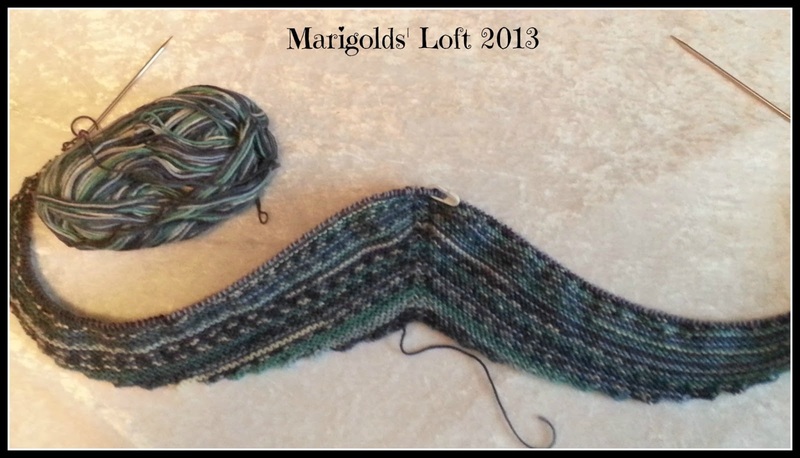 Yes, the sock pattern will be available tomorrow (Tuesday 12th Feb), with others scheduled for later. If you want to attempt colour work maybe try my Free Cap pattern, I will stand by your side in-case you have trouble. I have a two-toned project that will be posted for you to try in the middle of March, so maybe come back for that otherwise? Lots of great projects completed and ready to go.